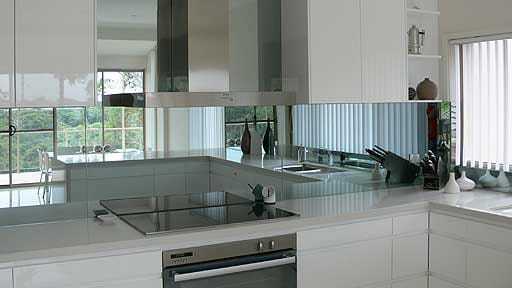 Stop your search for splashbacks around Melbourne, Phoenix Safety Rail Screens and Doors has the answer. The days when classy glass and mirrored splashbacks in kitchens, bathrooms, and laundries were thought a luxury are still with us. 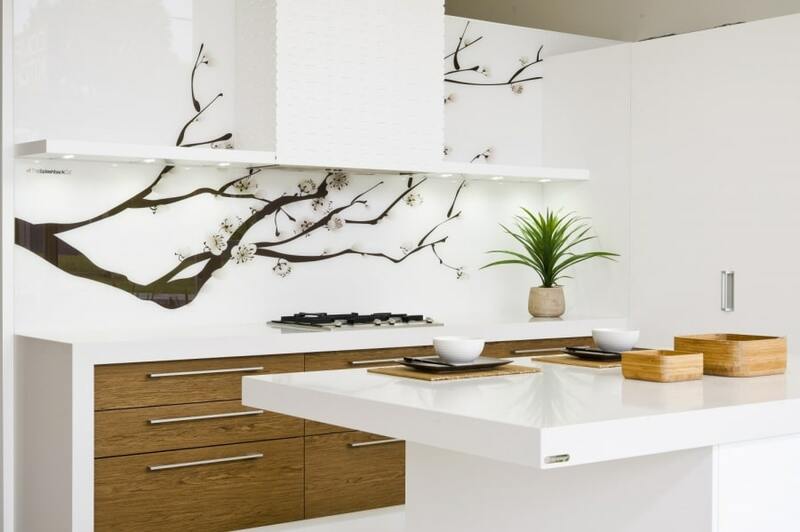 But now, Phoenix Screens and Doors, one of the Mornington Peninsula’s most experienced glass and mirror splashback specialists, make that luxury affordable. Phoenix Screens and doors supply a massive range of colours and finishes. You can choose from any combination of the Dulux and Haymes colour palettes giving you access to hundreds of options. • Free expert advice, measurement and estimates. 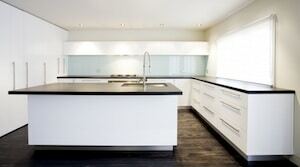 We use only quality Australian toughened glass, not cheaper and less resilient imports. That’s why we recommend and supply Starphire. Starphire glass contains less iron oxide, the substance that gives standard glass a slightly greenish tinge which affects colour reproduction. When Phoenix glass specialists advise on your installation, they do so in your own home under your lighting conditions. They also carry an extensive range of samples so you can see the product in real life, not just from a catalogue. You can also choose from a range of mirror finishes for your kitchen or bathroom splashback or conventional mirror applications. Our range comes in 3mm, 4mm and 6mm mirror finishes with flat polished or bevelled edges or in powder coated aluminium frames. You can also choose a toughened glass mirror or bronzed mirror finish for a softer reflection. These products are gaining popularity in commercial spaces such as gyms. Phoenix specialises in intricate cut-outs for power points, appliances and for awkward or out of square angles and surfaces. Our master technicians are among the most experienced in Victoria and will tackle even the most difficult task with professional precision. Call 1300 361 328 for free advice, measurements and quotes, visit our showroom, or complete the form to the right.